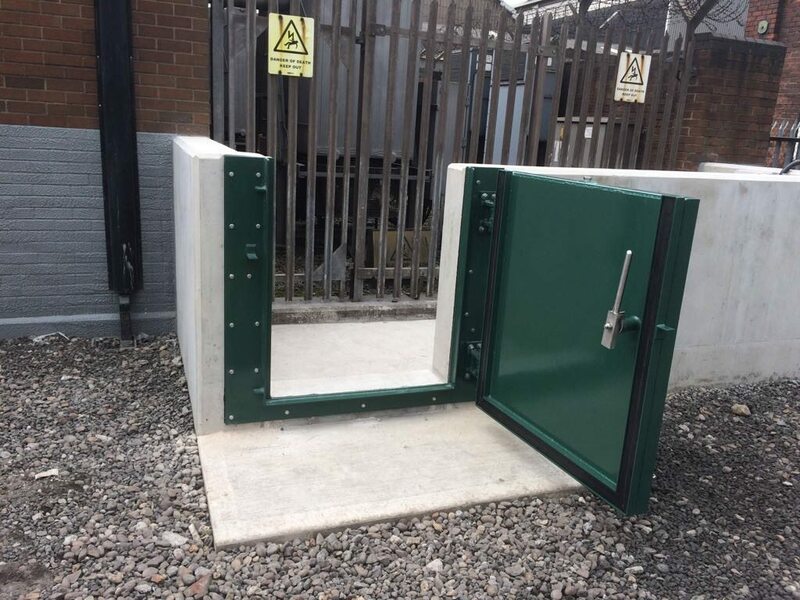 Our blast doors designs have been independently tested in accordance with the procedure under ISO/FDIS 16933 to verify their ability to withstand a blast loading. 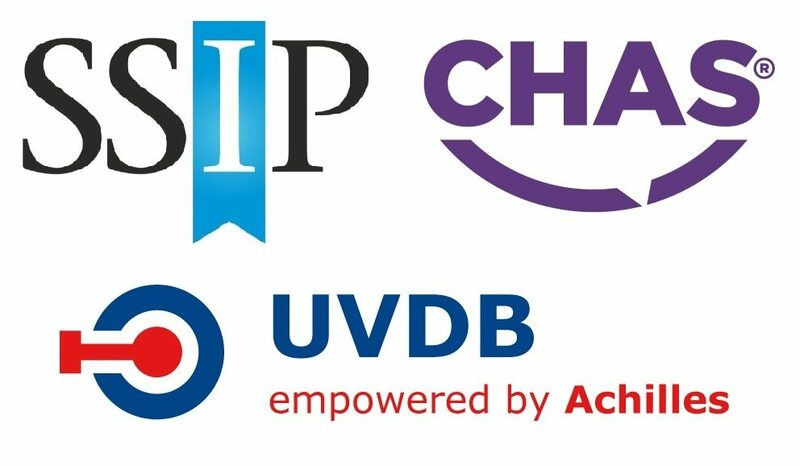 When a customer specification is received we have the calculations independently verified to ensure the highest levels or protection and performance. 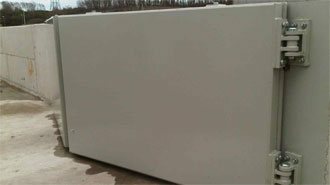 Below are some examples of the different applications for which we can design blast doors. 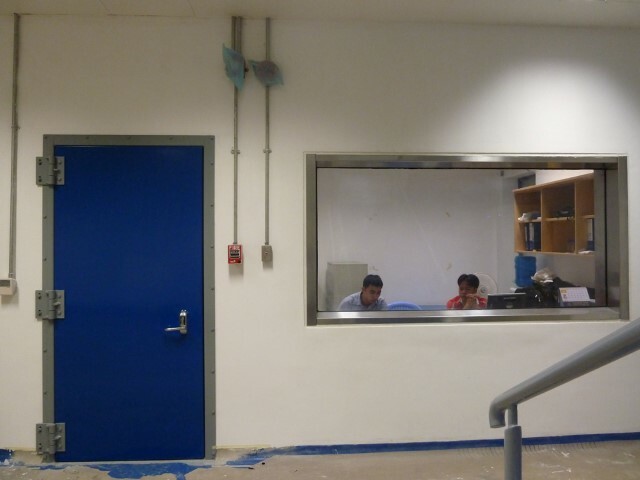 The most common function of a blast door and its surrounding walls is blast containment. In this application, the door will remain fully intact and ensuring the blast is fully contained. 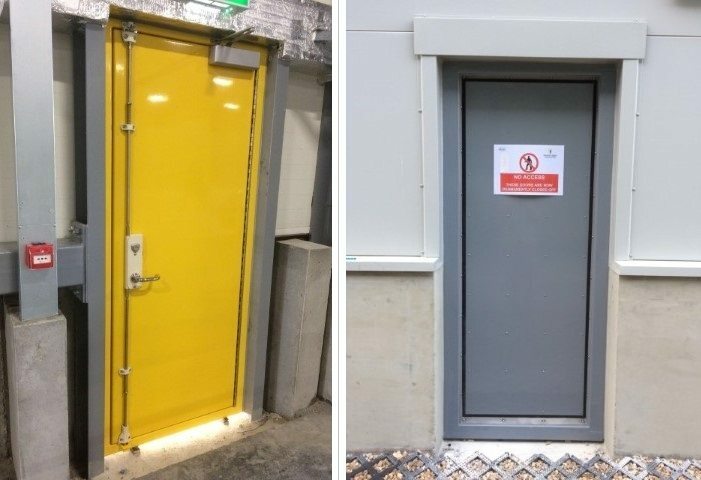 During testing, our doors performed to category I, meaning that the door remained closed post-blast and was still fully operable – important should the area required quick evacuation. The storage of munitions requires a dry, temperature-controlled environment. We design to meet these requirements by using door set insulation and purpose-specific seals to prevent sweating and cold transfer from the external face of the door to the internal face. 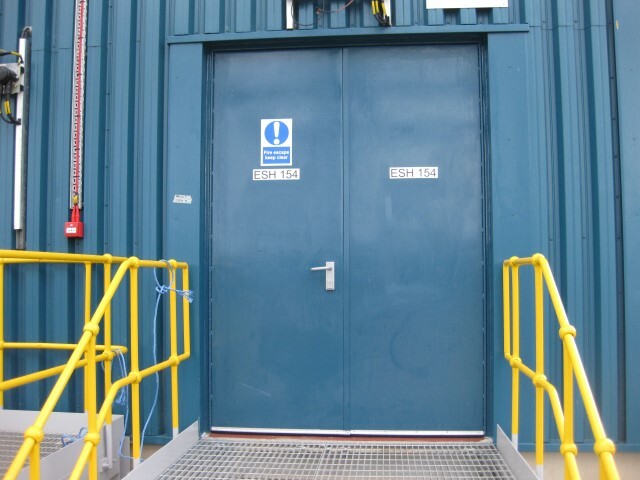 This ensures a stable environment for contents of the building whilst maintaining the required level of blast containment. 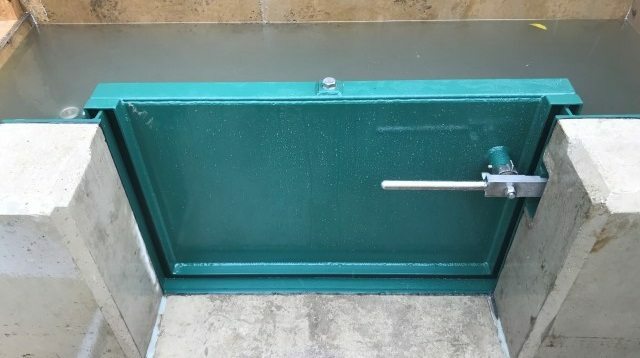 The design of a blast doorset is initiated by the static seated and unseated pressure as defined by the client. The door leaf designed to take the seated blast pressure and remain in the elastic range. The door hinges and shoot bolts and their component parts are designed to take the unseated blast pressure. The dynamic peak blast pressure, impulse and duration is also defined by the client as the required response criteria e.g. Class I (elastic) or Classes II, III or IV (plastic). The door leaf designed for the dynamic blast load using a single degree of freedom (SDOF) numerical analysis such that the response (leaf deformation) is within the client defined limits. The door hinges, shoot bolts and their connections designed for the rebound forces determined by the SDOF analysis. 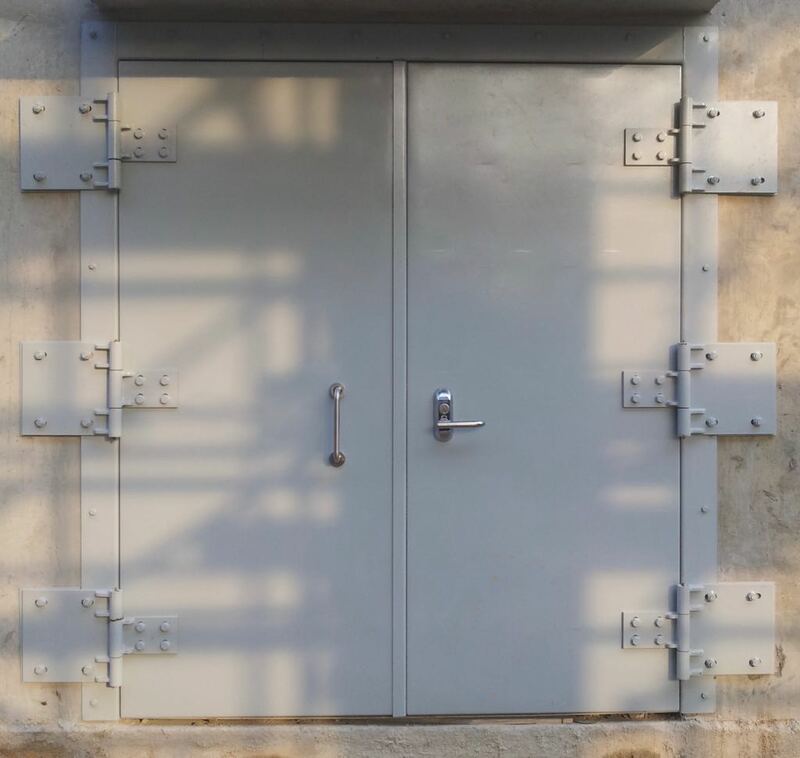 Where vision panels for blast doors or blast windows are required, they shall be designed using a Single Degree of Freedom analysis or the procedure outlined in ASTM E1300. Where a single degree of freedom method is used this shall include both the response of the glass pre-crack and the response of the pvb laminate post crack in accordance with Blast Effects on Buildings 2nd Edition. Alternative methods may be submitted to TCO for acceptance. Design of anchorage of the window frame to the structure shall be designed to remain elastic based on twice the dynamic reaction from the frame as a static load. The frame may also be designed so that the window glazing will fail prior to failure of the frame. The anchorage of frame to structure may be designed to develop the capacity of the window frame. The supporting structural elements may be designed by dynamic analysis methods. Laminated glass design is to ensure adequate anchorage of the laminate (e.g. polyvinyl butyral [pvb]) i.e. the laminate does not pull out from the frame rebates or tear. Glass shall be fully tempered and meet the requirements as specified in ASTM C 1048. 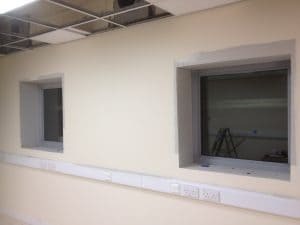 Glazed vision panels are made from minimum 6mm thick laminated glass to maintain the fire integrity of the designated door / wall fire resistance.